News | Moviemem Original Movie Posters - THE TITFIELD THUNDERBOLT Daybill Movie Poster Original or Reissue? 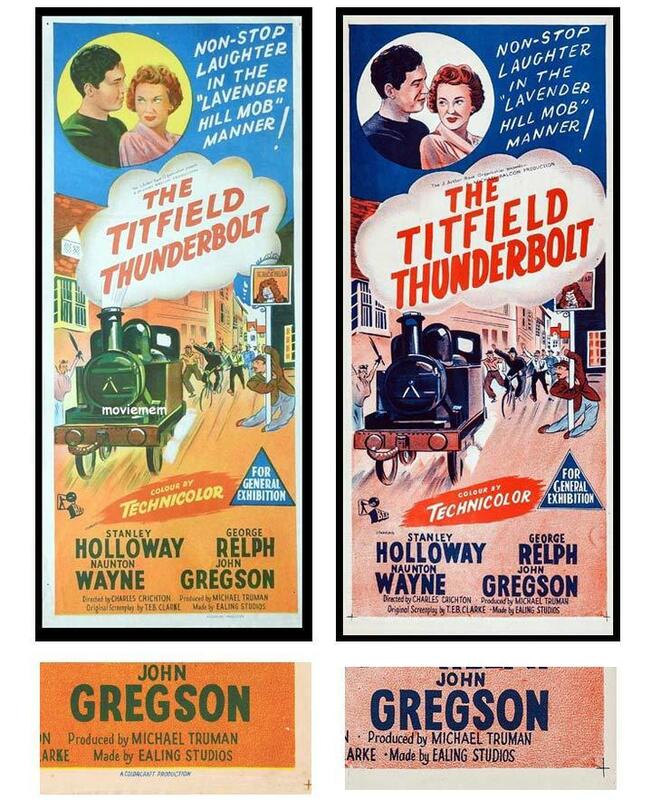 Original posters for The Titfield Thunderbolt are so rare that a later release has often been mistakenly sold as first release. This is another example where the differences are obvious when seen side by side. The original, pictured on the left is full colour and printed by Colorcraft. The later release on the right has no printers details and less colour obviously copied from the original. This was perhaps due to the film's popularity. Print runs of daybills were occasionally not sufficient to meet the demand and more daybills had to be printed. Australian posters from this era were hand lithos and the plates were wiped after printing and re used for other posters so any new daybills that were required had to be printed from scratch usually with less colour and detail.